When it comes to Hollywood, like every other industry with history and a revolving door of personalities, there are bound to be icons who have undeniable legacies and often times, their offsprings would follow in the footstep of their parents. That is the story of Tom Selleck, one of the legends and popular personalities in Hollywood history and his son, Kevin Selleck. It is always a satisfying feeling to see the son of a prominent figure follow in the same path as their beloved parent. To the fans of the icons, it is a chance to see a continuation of the pleasure evoked by them as it is continued through their children after death or retirement (whichever comes first) inevitably strikes. We explore the career and life of Kevin Selleck who has taken after his father to become an actor. 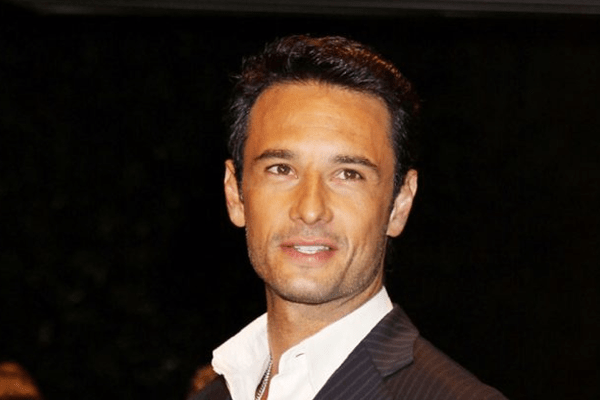 Biography, Age – Who Is Kevin Selleck? You hear something long enough and you start to believe it to be true. While it is not a lie that Kevin Selleck is the son of Tom Selleck, he is not a biological son of the iconic actor. Through the relationship of Tom Selleck with his mother, Jacqueline Ray, Tom adopted Kevin Selleck as his son, starting the belief that has lasted decades. Kevin Selleck himself was born sometime in 1966 as Kevin Shepard before the adoption and the identity of his biological father is unknown. Following the marriage between Tom Selleck and Jacqueline, his name changed to Kevin Selleck and he continued to live his life under the guidance of the famous actor. For a while, he grew up as an only child until his parents got divorced in 1982 and both parties remarried and produced two half-siblings, Umeko from his mother’s marriage to Clarence Barry Witmer and Hannah Margaret Selleck from his father’s marriage to Jillie Mack. Growing up, Kevin Selleck had dreams of becoming an actor, having taken Tom Selleck as a role model but before he got his chance to star in films and television shows, he pursued an interest in music and joined a rock band – Tonic, which was formed in 1993 and played as a drummer. He was with the band until 1997 when he left after an altercation with one of the band members. During his time with the band, they released an album, Lemon Parade in 1996 and a single If You Could Only See in 1997 which made it up to the Billboard Airplay Hot 100. His effort to start a band of his own after he got kicked out of the first one failed. The fight that got him kicked out of the band was part of a trend of behaviours that had plagued Kevin Selleck’s life ever since he was a teenager and almost derailed his education at the University of Southern Carolina. For a long time on his road to adulthood, Kevin Selleck lived life on the edge and suffered from drinking problems. While he hasn’t quit his acting career, he has only been able to appear in a film, Magnum P.I and got his only other film credit for his voice on the soundtrack of Scream 2. Ultimately, Kevin Selleck has had a life filled with controversy. In 2014, his mother, Jacqueline Ray, was arrested and sent to prison for hiring a hitman to kill the husband of her step-daughter. His mother was subsequently sent to 18 years in prison. This has led to further withdrawal from the public for Kevin Selleck, whom much hasn’t been heard of since. See Also: Who Is Thijs Lauer, Matt Lauer And Annette Roque’s Son? More than just starting out and building a successful career of his own, Kevin Selleck has also built a family of his own. He has been married to Annabelle Selleck for a few years and the couple has managed to raise six children thus far. Kevin Selleck has had his share of controversial news but with time, he has learned to keep his life out of the spotlight which he has managed to do by keeping details of his marital life and children away from the media. He has continued to maintain a relationship with Tom Selleck who has always made himself available to offer advice and assistance whenever necessary, including getting him out of a controversial credit card debt of $6,000.